But as time passes, lawlessness erupts and takes an ugly turn. When the market and pharmacy are torched by an anti-Semitic arsonist, Charlie realizes his mother will die without her medicine. So he dons skis and heads off alone, seeking the nearest hospital. After traveling 50 miles through brutal ice and snow, Charlie encounters a burned-out, looted city of terrified citizens. Will he be able to save his mom? 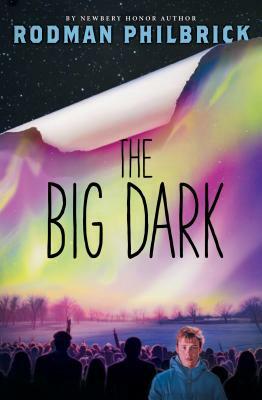 Heroic, eloquent, and unforgettable, The Big Dark raises timely questions about responsibility, tolerance, and love. Rodman Philbrick's The Mostly True Adventures of Homer P. Figg was chosen as a Newbery Honor Book. His most recent novel, Zane and the Hurricane, has received numerous starred reviews and was honored on the 2015-2016 Texas Bluebonnet Award Master List. His first book for young readers, Freak the Mighty, was an immediate bestseller and continues to be a classic, with close to three million copies in print. Philbrick divides his time between Maine and Florida. Visit him at www.rodmanphilbrick.com. Foer's Extremely Loud and Incredibly Close is one of the most interesting books I have read, not only because of hte deeply heart-wrenching and emotional story, but also because of the writing devices Foer uses. This piece pulls the reader to fully understand the perspective of a young boy trying to learn from his father who died in the World Trade Center on 9/11. You feel with and for Oskar the whole time.